Producer Michael Klein (Dobre Films) picked up Script Pipeline "Recommend" screenplay Moon Rush, a sci-fi/action feature written by Matt O’Reilly. Script Pipeline connected O’Reilly with Dobre at the beginning of 2017. O'Reilly's previous script, Android, is currently in pre-production with Infinite Studios and Picture Films and has Aaron Paul and Olga Kurylenko attached to star. Jeffrey Dean Morgan to star in Militia, winner of the 2015 Script Pipeline Screenwriting Competition. Writer Henry Dunham found representation less than a month after contest results were announced, signing with industry partner Madhouse Entertainment. Ralph Ineson (The Witch) and Jack Huston (American Hustle) join Morgan in the cast. Dunham, repped by UTA, will also direct. Cinestate and XYZ films are producing the crime/thriller. 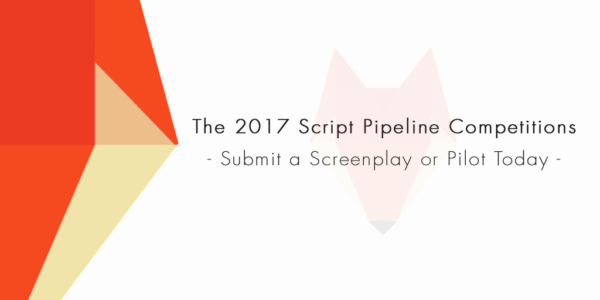 The script was a unanimous pick amongst Script Pipeline staff for top honors in the 2015 contest. Both CEO Chad Clough and Senior Executive Matt Joseph Misetich pegged the screenplay as a fresh, relevant spin on the genre and an unquestionably strong calling card for the up-and-coming Dunham. Read Henry’s Script Pipeline interview. STX Entertainment has optioned The New Neighbors, a spec written by Leslie Headland and David Schickler. The psychological drama follows a couple who move into an affluent area and uncover dirty secrets within. Headland is also attached to direct. Amblin acquired John Swetnam's action/thriller spec Ruthless in an auction. The script follows a retired assassin who sets out on one final job after she's diagnosed with terminal brain cancer. Brad Peyton to direct. Black Bear Pictures acquired The Impossible War, a drama spec written by Robert Specland, based on the true story of Jonas Salk and Albert Sabin's search for the polio cure. Sony picked up Teddy Tenenbaum and Minsun Park's supernatural thriller spec /Reddoor, which follows a journalist as he reviews a new app game that kills its players. 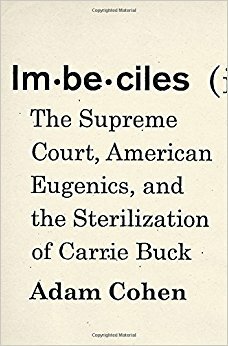 Finally, Amazon Studios and RatPac Entertainment are teaming for Melissa London Hilfers's script Unfit, based on Adam Cohen's nonfiction book Imbeciles: The Supreme Court, American Eugenics, and the Sterilization of Carrie Buck. Dakota Johnson is attached to star. It's arguable what the most important element of a movie is. The plot hooks the audience, the directing keeps the audience entertained, and the theme gives the audience something to think about once the credits start rolling. However, at the center of each of these elements are the characters. Movies that lack strong characters will often feel hollow—a movie can have the largest, most exciting set pieces, but without strong characters, the audience won't have anything to truly connect with. Moonlight, directed by Barry Jenkins and written by Jenkins and Tarell Alvin McCraney (based on McCraney's unpublished play), is perhaps the purest example of a character study. The film is divided into three chapters, and each centers on Chiron, a young black man from a rough neighborhood coming to terms with his sexuality, at different stages his life (childhood, adolescence, and adulthood). In lesser hands, this structure could feel jagged and lack cohesion, but Jenkins and McCraney connect the stories through the film's themes (which include masculinity and sexuality) and through Chiron's relationships. . . .